We know this scenario well: It's December, and you're walking through the aisles of your local grocery store when a tinny version of Tchaikovsky's "Waltz of the Snowflakes" is piped out over the speaker system. You immediately feel a mix of emotions: fear that you've missed your entrance, exhaustion and, of course, nostalgia. The Nutcracker score is iconic. From the opening shot of The Nutcracker and the Four Realms through the closing credits, the film takes Tchaikovsky's music and mixes it up. Some parts will feel familiar: For example, the party music matches the party scene, and "Waltz of the Snowflakes" plays while Clara walks through snow. Yet some parts are entirely unexpected, with riffs that you've never heard before. While purists might take umbrage with this remix, we found it both pleasantly surprising and sweetly sentimental. 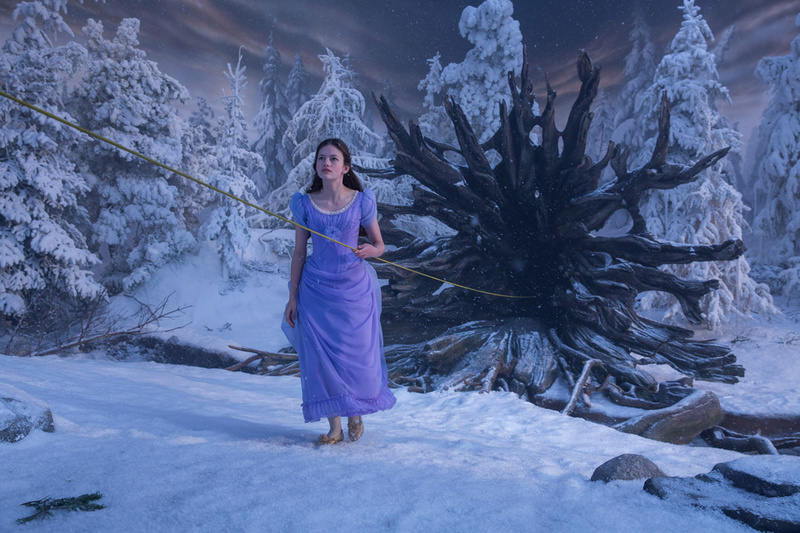 The Nutcracker and The Four Realms includes all kinds of references that only true balletomanes will pick up on. We've listed a few below. The Nutcracker story that most dancers are familiar with is a combination of E.T.A. Hoffmann's 1816 original and Alexandre Dumas' 1844 remake. In The Four Realms the protagonist is named Clara Stahlbaum, a combination of the names of Hoffmann's character (Marie Stahlbaum) and Dumas' (Clara Silberhaus). Early into the film, we find out that Clara's mother was named Marie. And the Nutcracker Prince? His name is Philip Hoffmann... a reference to E.T.A., we presume. While Mother Ginger's clown-like minions don't look like the rosy-cheeked polichinelles that ballet audiences are used to, word polichinelle is the French translation of pulcinella, a commedia dell'arte figure resembling a clown. Towards the end of the film (we promise, this isn't a spoiler), Clara's father, upon hearing the "Grand Pas de Deux" music says, "This is the first music your mother and I ever danced to." This feels poignant as the Nutcracker is most dancers' first ballet, and the Grand Pas marks a breakthrough for many rising stars. The Realms' palace looks nearly identical to St. Petersburg's St. Basil's Cathedral; we'd like to think that this is referencing the ballet's Russian roots. The film is also full of swan imagery; while silver swans are referenced in Hoffman's story, this could also be a nod to Tchaikovsky and Petipa's other famous collaboration, Swan Lake. 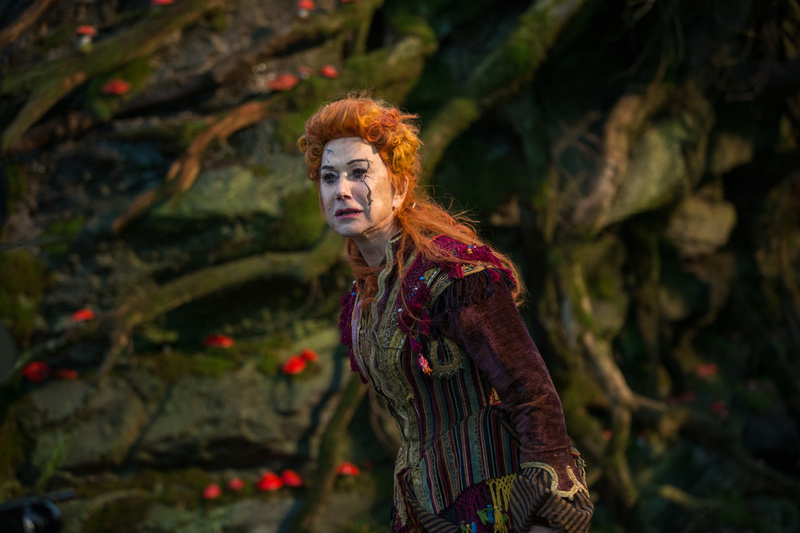 Costumes can make any dance production extraordinary, and the costumes in this film, designed by acclaimed Hollywood costumer Jenny Beaven, are sure to please. 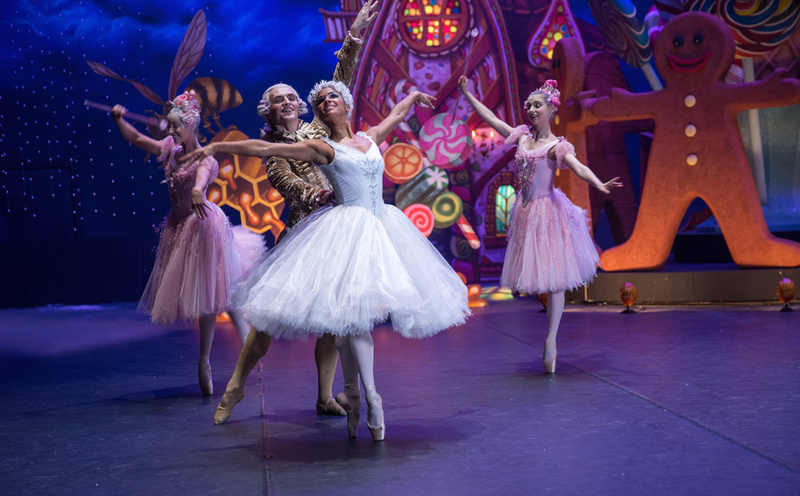 From Sugar Plum's frilly gowns to Clara's iconic nightgown, these costumes remind us of the sense of magic and joy that we felt as young Nutcracker-goers. Last but not least, the dancing is what makes this film extra exciting. Misty Copeland plays the Ballerina Princess and Sergei Polunin the Dancer Cavalier. While dancing is by no means the main event and takes up only a few minutes of the film, The Four Realms gives Copeland a real chance to shine onscreen in choreography by Royal Ballet artist-in-residence Liam Scarlett. We especially love seeing close-up shots of her pointe shoes, broken in and scuffed by the floor; they show the authenticity of her performance. And don't leave the theater when the credits start to roll; they include an extra surprise appearance, reminding film-goers of The Nutcracker's ballet roots.